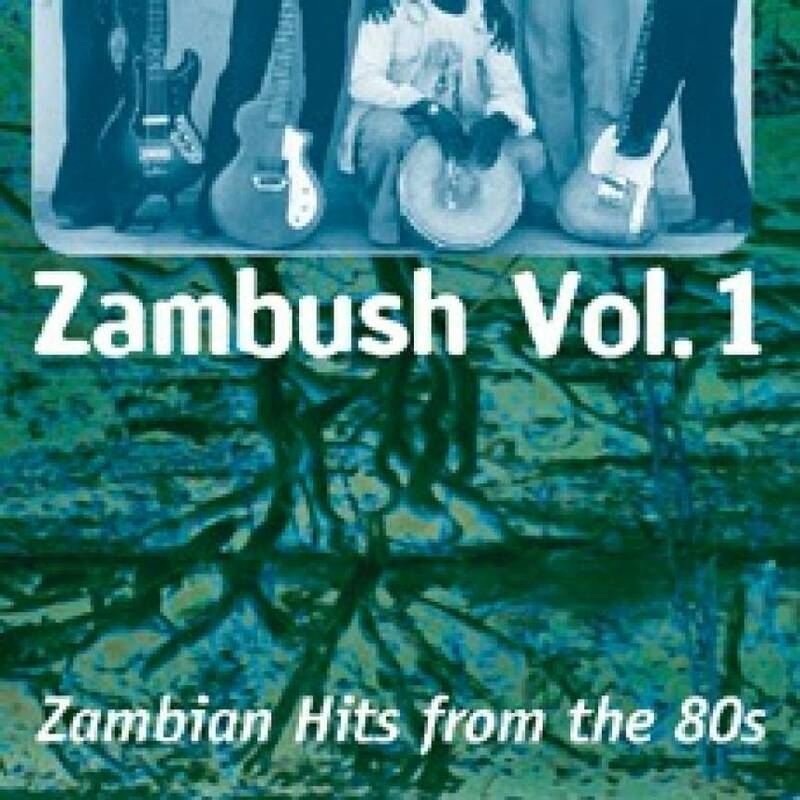 The electric music from Zaire and Zimbabwe from the 80s may be well known in the West, the music from Zambia is not. Musically there is no good reason for this. Zambia had always had a vibrant and diversified music scene and during the eighties yet another new musical era emerged – the kalindula years. The true meaning of the era is that rural dance music from all over Zambia went electric and these songs became the big hits of the time: Zambian popular music had finally become roots music! So put yourself in a dancing frame of mind and let yourself be zambushed. Total time: 68'38". 20 page booklet. Tracklist: 1. Kachasu, by Five Revolutions, 2. Kusiyana Siyana Kwa Maofesi, by Amayenge, 3. Dziko La Mulungu, by Masiye Band 4. Mao, by Amayenge, 5. Grace, by Uweka Stars, 6. Imisango Ya Ba Chairman, by Black Power Band, 7. Tai Yaka, by Julizya Band, 8. Kwacha Ngwee, by Green Labels, 9. Umwana Wanshiwa, by Serenje Kalindula Band, 10. Ukwenda Nayenda, by Mashabe Band. Afropo 2005 (USA): "These are dance songs, driving and energized – a fantastic introduction to an all-but-overlooked era in African pop history." fRoots 2005 (GB): "Kalindula was one of Africa's most memorable styles and still sounds bold and thrilling today. Here's the evidence – a great selection of hits from the 80s." Songlines 2005 (GB): "Sadly, the music of Zambia has never been given the same acclaim as its neighbours Congo and Zimbabwe. This marvellous album gives us an indication of what we have been missing."